It is an honor for us to introduce our company to your esteemed organization as consultants for outbound trainings. We are a team of management consultants delivering innovative and best in class outbound training solutions. Our clients experienced our modules as innovative, adventurous and were unique learning exercise. Our modules are based on psychometric, experience and instructor -led trainings. The participants are engaged in various activities and monitored for various interpersonal skills. Each participant is given individual feedback by the consultant. We have dedicated team of consultants and support staff. The outbound training support staff consists of international prize winning individuals who are best in trade. The international standard equipment is used for the safety of participants. We only practice those activities which are already tested and safe for individual experiencing it first time. We will appreciate an opportunity to meet with you and share our experience and expertise in this area. 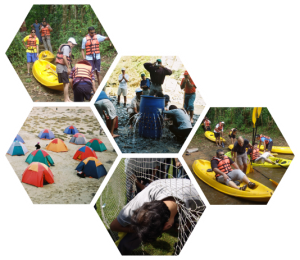 We only do the customized activities so our trainings are more direct and result oriented. We will certainly like to explore the opportunity of working together as your business partners to support you in growing your organization further. We can also customize according to client specific needs. Above are just some of the keys to a good performance in our Treasure Hunts, which mirror many of the fundamental qualities required in corporate achievement. Traditional Local Music and Dhol. A team of skilled trainers will be there who will brief the teams at the start of each activity and once the activity is done they will debrief the teams on learning outcomes. Professional staff – supervising/performing the operational handling.